A big, warm welcome to Class 1! 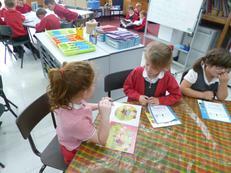 We are so excited to tell you all about the things we have been done since arriving back to school. It has been a busy few weeks, and we have enjoyed every second. 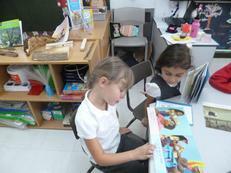 Let us tell you about our topic “Let’s go on a journey”. In maths we have been reminding ourselves all about number formation. 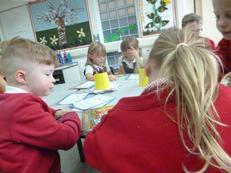 We have looked closely at numbers to 20, and we are just beginning to add numbers together. 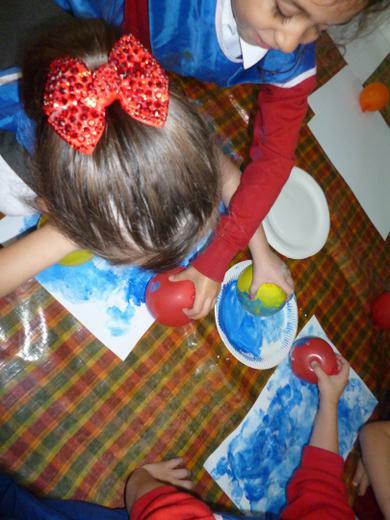 As we grow more confident, we will start to look at shapes, space and measure. We are really excited to become weather investigators. We will be measuring rainfall and learning the vocabulary you need to use when measuring. We also can’t wait to start comparing the amount of rainfall on different days (although so far we have been very lucky with the weather- we are even recording every morning what the weather is like, so that we can compare them in maths). 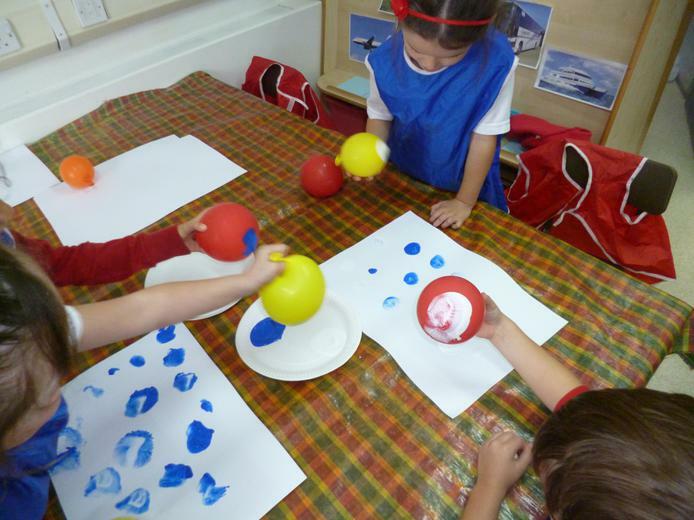 We will also be weighing different objects and measuring the lengths of things too. As the weather does change, we will be comparing different objects found in nature, such as leaves, conkers and maybe even the amount of snowfall! Miss Farthing has been looking very closely at our writing skill this half term, and she has been very impressed with what we have shown her. We are still practicing our letter formation, to make sure we become very confident writers. 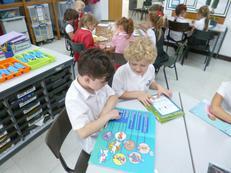 We also take part in frequent phonics activities to extend our knowledge of spellings. 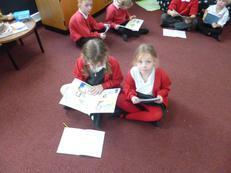 We have completed some great pieces of work for Miss Farthing and Mrs Hayles. 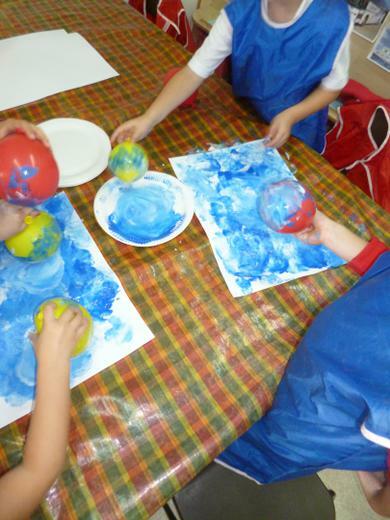 In a short amount of time we have felt, explored and described ice. We have also gone on a journey around the school with a magic balloon, and then recorded the different things our balloon could see and hear. Some of the balloons were so excited, they just had to “pop”, and some of them were so cheeky, we exclaimed “it is trying to escape and fly away”. After that, we listened to a poem about different shaped clouds, and then went cloud watching ourselves. Our imaginations ran wild as we saw unicorns, dragons, lions and tigers. 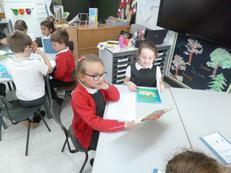 We then wrote our very own poem and really impressed our teachers. 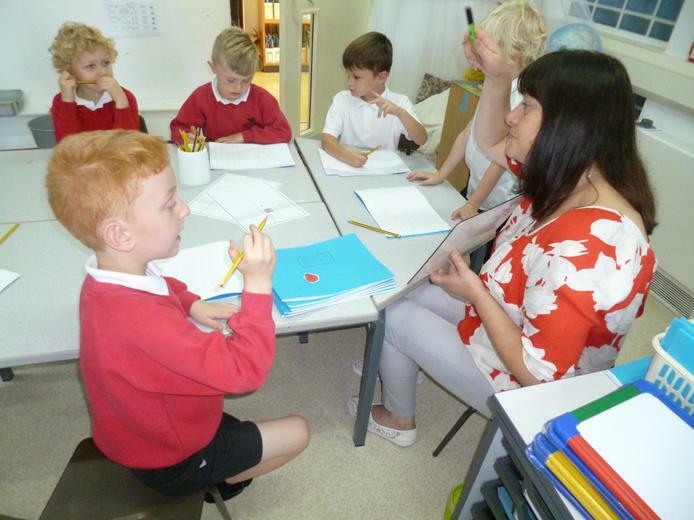 We have been focusing very closely on our handwriting, and now Miss Farthing and Mrs Hayles will be challenging us in our spelling when we write. 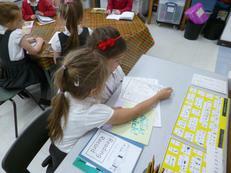 Finally, we have really enjoyed writing our topic questions for the very first time. We will be visiting the ‘Piglets Adventure Farm’ in York soon, and we have plenty of questions for them. Some of the things we would like to find out are; what do cows eat? Is a tractor ride bumpy? And finally, how do you feed the chickens without getting pecked? We look forward to telling you all about it, after our trip. 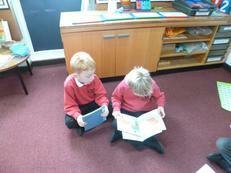 We now have a reading buddy in Class 2. 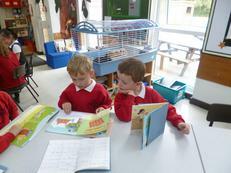 We love to spend time with our buddies looking at and reading books together. This term we have been lucky enough to work with Mr Butterworth. He has shown us all sorts of P.E. 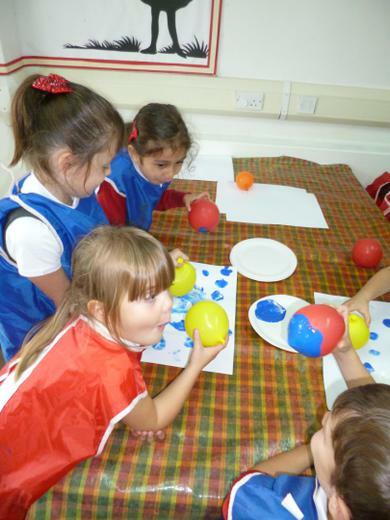 equipment and has helped us to develop a lot of different skills. He has even encouraged us to balance, by asking us to move around the hall like different types of animals. 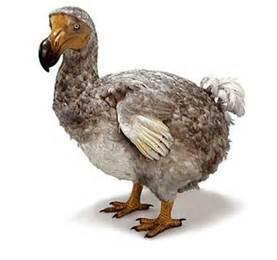 Abigail suggested that we could move around the hall like a Dodo! We were all really impressed with this recommendation and we loved her example even more. 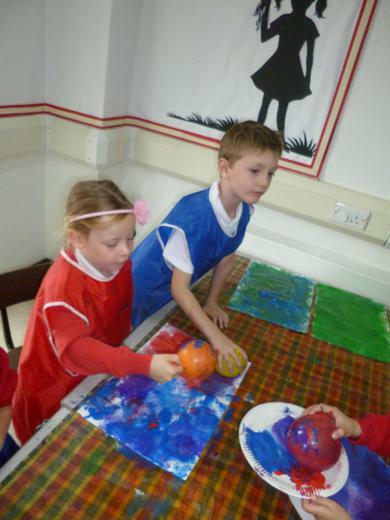 With Miss Farthing we have looked at freezing and melting, as well as floating and sinking. 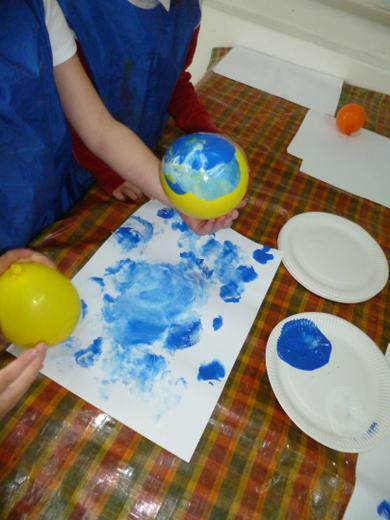 We will also be looking very closely at the changing seasons and recording and investigating the weather. However, we have also been really lucky to work with Ms Mann, the Science coordinator in the school. 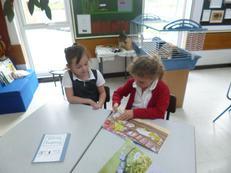 Ms Mann is teaching us all about trees, and so far we have learnt some really exciting things. 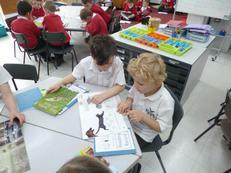 We have learnt the words strong, tall, rigid, deciduous and evergreen. She has also told us that some berries are poisonous and that we shouldn’t touch them. She also taught us that trees are really important as they produce oxygen, which we all need to live. 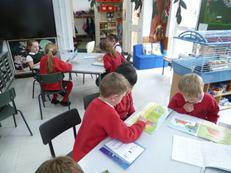 We have started to investigate globes and books about different countries in Geography, and we look forward to gaining more Geography skills on our school trip, as we look at maps and compasses. We are really excited to start looking at religious festivals, and learning about other celebrations in the world, as well as our own. We are also going to be looking at the history of farming, and how it has changed. 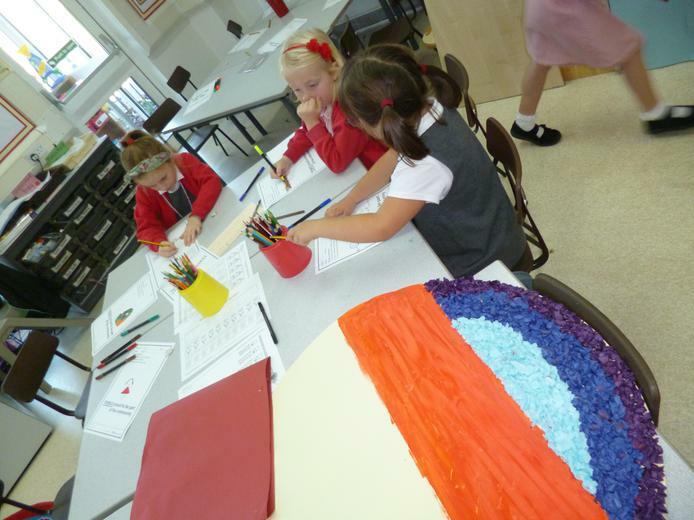 We have also been very busy in art, working both with Miss Farthing and Mrs Forrest. Take a peek at some of the work we have done. 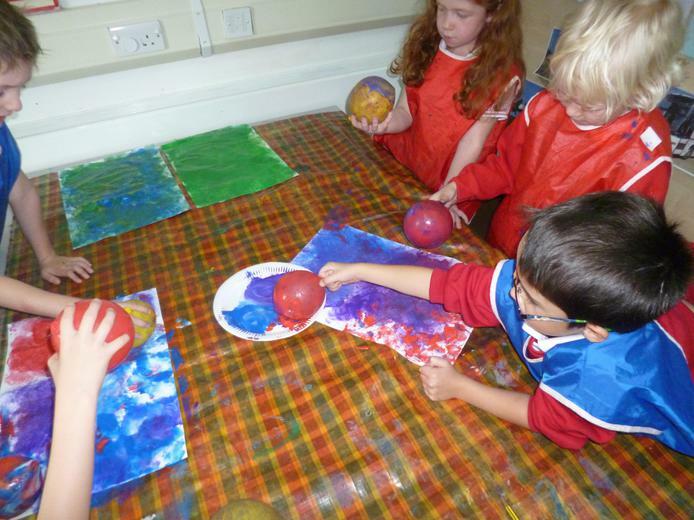 We have used pastels and practiced blending the colours together, and we have even used balloons to create effects with paint. We have had a busy start to the year, and we can’t wait to see what else Miss Farthing has in store for us.